These AWESOME Visstun®-32oz-Reusable White Plastic Cups deliver a powerful 1-2 punch. When first received, the high gloss, Hi-definition full-color print gives you a memorable first impression. 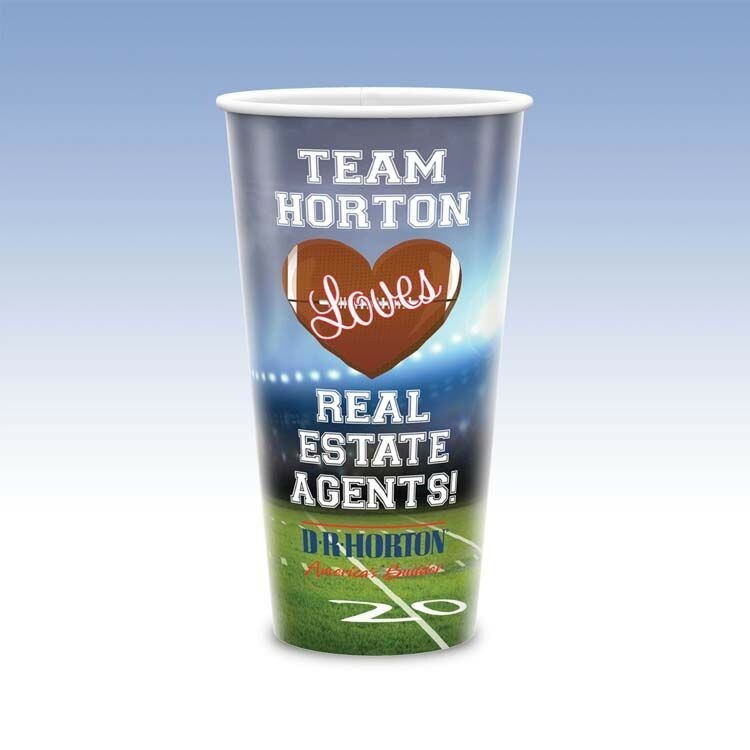 Then, since these are reusable & dishwasher-safe, prospects will take your cups home generating added exposure as they use your cups over & over. Great for meetings, events, seminars, trade shows, picnics - any promotion where you need to reach beverage drinkers.Made in the USA using USA made materials. Minimum order is 250 cups.